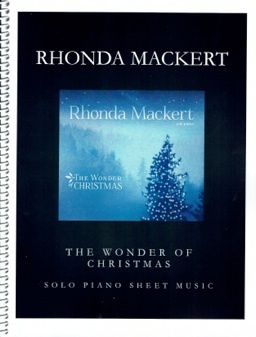 The Wonder of Christmas songbook is the companion sheet music book to Rhonda Mackert’s solo piano album by the same name. All thirteen songs from the album are included, transcribed note-for-note by Donovan Johnson and proofed by me. These arrangements demonstrate the gentler, more peaceful side of the Christmas holidays and most of the pieces should be playable by pianists at an upper-intermediate level and above. 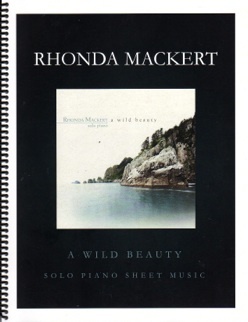 The book is spiral-bound and the music is printed on a bright white paper stock of a medium weight, allowing for easy page turns and assuring a long life for the book. The layout of the book is roomy and very easy to read. There aren’t a lot of chords and I don’t think there are any reaches of more than an octave. Most of the pieces are in easier key signatures, and a few are moderately fast with tricky timing, but all of the arrangements are very melodic and fun to play. Expression, metronome settings, and pedaling suggestions are all clearly marked. 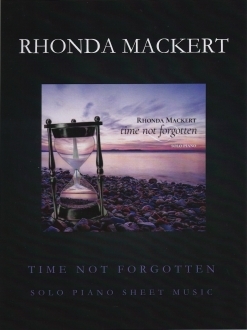 My own favorites to play are “Deck the Halls,” “Sing We Now of Christmas,” “What Child Is This,” “The Huron Carol,” and Mackert’s own “The Wonder of Christmas.” This is a really nice sheet music book that is available from Mackert’s website. 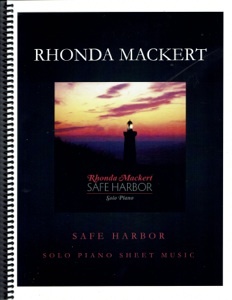 The songs can also be downloaded individually or as an eBook from rhondamackert.com. Very highly recommended!